It’s the end of the world, as we know it. And I feel fine. Since 1961, Marvel Comics have published tales that have primarily all taken part in the same universe, a reality known as Earth – 616 if you want to get official. That’s over 50 years of continuity, that has been ticking around, while other comics expanded on that multiverse, such as the Ultimates line from the early 2000s. This year however, Marvel is pulling a DC, as they’ll be restarting their entire Marvelverse of titles. At a Secret Wars press event (via Newsarama), Marvel Editor-in-Chief Axel Alonso and Senior Vice President of Publishing and Executive Editor Tom Brevoort announced that the upcoming Secret Wars series would kill off both the mainstream Marvel universe as well as its sister Ultimate Comics Universe. The Ultimates universe, was an attempt by Marvel to revitalise their key characters and franchises, by creating a new world wherein characters debuted for the first time, but in a more realistic setting. 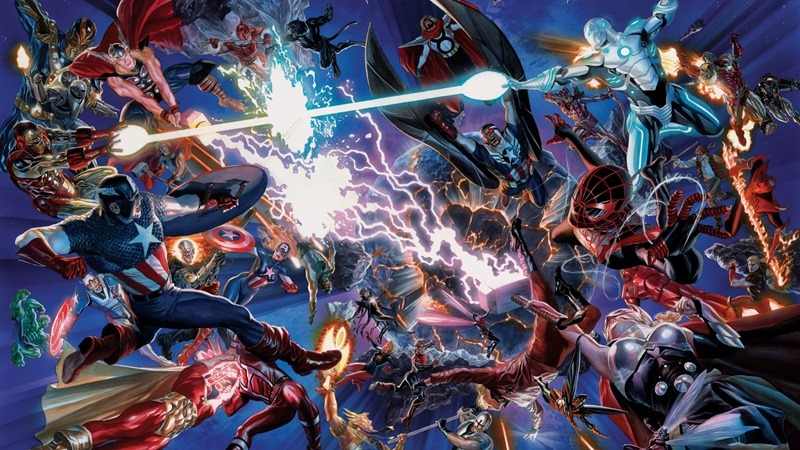 Describing the upcoming event as a collision wherein the Ultimate and Marvel Universes would “smash together” Alonso and Brevoort revealed that by the time the first issue of Secret Wars was on sale, the current comic universes will have already been destroyed, with fragments forming a new Battleworld. “Once we hit Secret Wars #1, there is no Marvel Universe, Ultimate Universe, or any other. 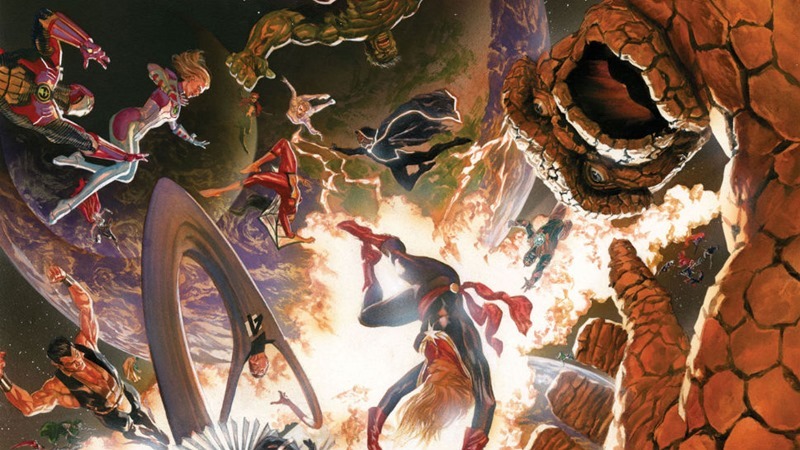 It’s all Battleworld,” Brevoort said. We are taking the best and biggest pieces of [Marvel history] and seeing how easily they coexist with one another.We don’t expect all our moves to make everyone happy, but we think it will make for a really fascinating read through Secret Wars and beyond. According to Alonso, Secret Wars would also allow Marvel to potentially resurrect older characters who have been dead and buried for a while now. That also means that every single Marvel comic on stands today needs to resolve some storylines. Something which the various creative teams have known about for a while now. “Every creative team has known this was coming,” Brevoort said. We’ve had a line of demarcation in the sand. Get your most immediate business done by this point because we’re going into Secret Wars and it’s going to have an impact on everything. Most of those creators are working on books during Secret Wars. They may not be exactly the same book. There may not be a Guardians of the Galaxy book but there’s probably going to be something that involves some bit of that business, or stuff that may be done in Guardians in the future. Everything is going to kind of change and shift as we go. We’re not entirely ready yet to map it all out for you. It’s a massive step for Marvel. Rebooting a universe is usually the best way to clean house, something that its distinguished competition is familiar with. DC Comics have been doing this since the 1980s, with Crisis On Infinite Earths, Zero Hour and a soft reboot in Infinite Crisis that was caused by Superboy Prime punching reality hard enough to cause changes in the status quo. Yes, that actually happened. A few years back, The Flashpoint Paradox led to the latest DC reboot, with the New 52 line-up of comics. But I’m eager to see how Marvel handles their own Secret Wars Crisis event. Previous article Which countries use Steam the most?